[OFFICIAL] MovieMator Free Mac Video Editor - All-in-one Free Video Editor for Mac! 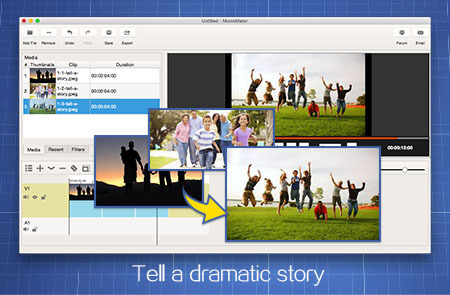 MovieMator Free Mac Video Editor is a free but powerful Mac video editing software. Excellent Video Editor for Mac to Make Fancy and Amazing Movies! Easy Mac Video Editing Software for Home Movies with Stunning Effects. Mac OS X 10.7 +, EL Capitan, Yosemite, iMac, Macbook Mini, Macbook air, Macbook Pro and more. MovieMator Free Mac Video Editor allows users to enhance their video’s quality with one Chroma Key. With the Free Mac Video Editor, users can trim and crop fragments, cut footage into parts, delete unnecessary clips, rotate the frame and adjust the volume, import favorite music, add various filters and transitions. Why Choose MovieMator Free Mac Video Editor! MovieMator Free Mac Video Editor lets you enjoy your 4Kvideos like never before, and add your favorite music and filters directly into your 4K video to create the perfect atmosphere. Any number of video or audio tracks expands to fit all your projects. You can create beautiful animated text for any frame and title for any movie with text filter on this video editor for mac. What's more, the font color and size can be set to your desired. This video editing software for Mac allows you to add multiple videos in the same frame on the multi-track timeline to show a picture-to-picture effect. And it is easy to change the size and position of the front video freely. - Trim, rotate, crop, merge, split videos&photos. - Change brightness, saturation, contrast, aspect ratio, transition effect, speed of videos&photos. - 30+ video filters including Blur, Mirror, Alpha channel, Chrome Key, etc. - 10+ audio filters incuding Fade in/out, Balance, Normalize. - 20+ transitions for videos and photos. 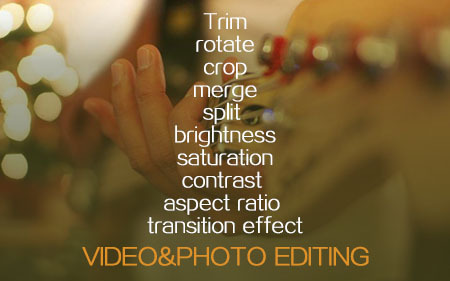 This Mac video editing tool allows users to trim, split, rotate & crop and split clips on the timeline. 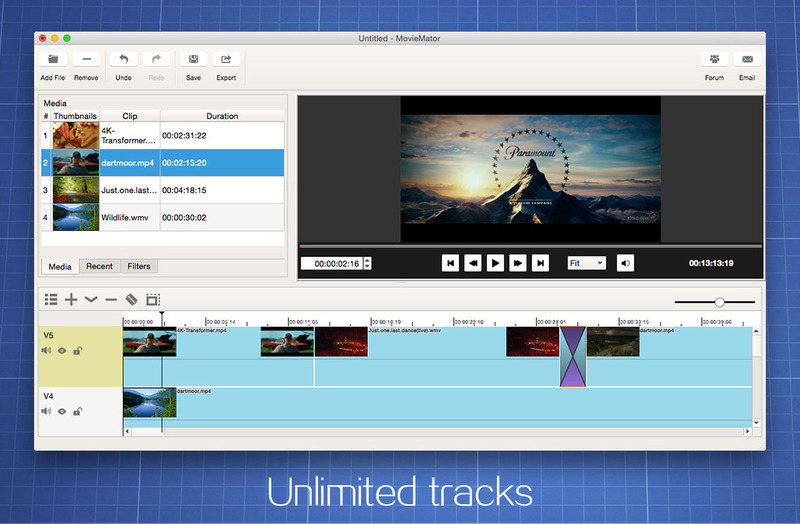 Multi-track timeline is available for videos, audios and photos editing on MovieMator Free Mac Video Editor . Automatically save and recover the project files with MovieMator Free Mac Video Editor. 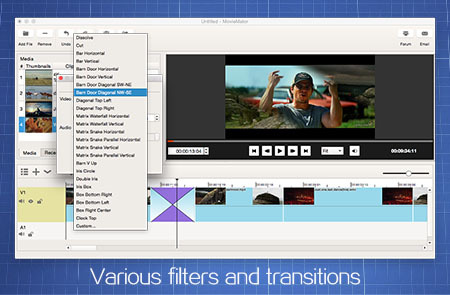 160+ video formats can be imported to MovieMator Free Mac Video Editor. 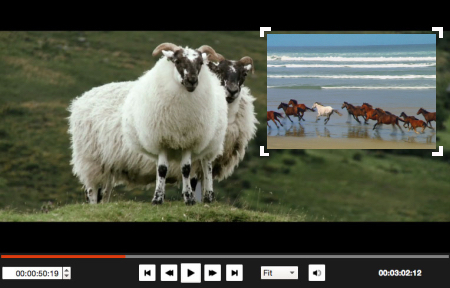 De-interlacing function is available on MovieMator Free Mac Video Editor. Compatibility: MovieMator Free Mac Video Editor runs on Mac OS 10.7+ . BlackBerry, Kindle Fire, LG Optimus, Nintendo Wii, Sansa Windows Phone, Android, etc. MovieMator Free Mac Video Editor is avaible for Mac OS X 10.7 +, EL Capitan, Yosemite, iMac, Macbook Mini, Macbook air, Macbook Pro and more. 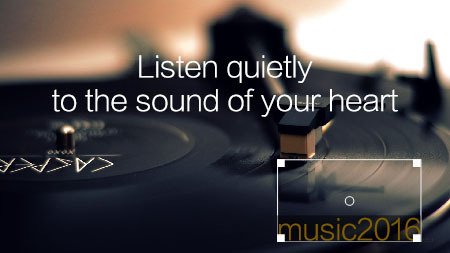 Download Any Video and Music files from YouTube… 1000+ video sites. Excellent All-in-One Video Toolbox to Convert, Edit Video and Burn DVDs.